The Dene People are a Native Indian linguistic group who have inhabited the northern boreal and arctic regions of Canada for over 30,000 years. They include Chipewyan, Tlicho (Dogrib), Yellowknives, Slavey, and Sahtu. The Dene have always been sustained by the land and all that it has to offer. 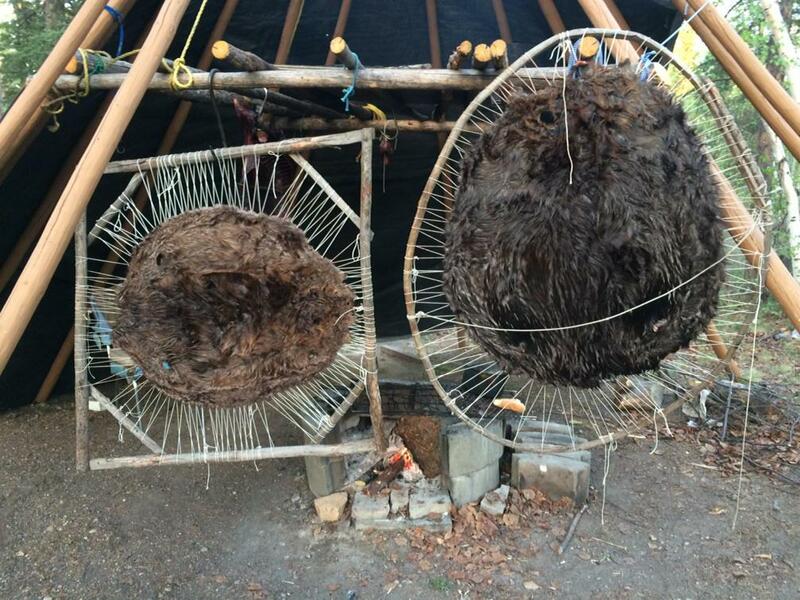 Dene People from the Northwest Territories trap beavers and other fur bearing animals. This is a tradition practiced sustainably from time immemorial into the present. Every part of the animal is used to feed and clothe community members. The most humane trapping techniques are used to minimize any suffering for the animals. The fur is cut into long strips, then wound into yarn. The soft luxurious yarn is woven or knit into warm hats, mitts, vests, and other pieces of clothing. This is modelled after traditional woven rabbit fur garments. The label of each item is signed by the Dene artisan who created it to prove its authenticity. This small Native owned and operated business provides consumers with a very nice alternative to the common petroleum based acrylic textiles while providing resources to the local Native community. Fur Item Care: Hand wash in warm water and mild soap and dry flat. To fluff up fur, tumble dry on gentle with no heat for 10 minutes with a couple tennis balls.